What Do You Always Keep In Mind During Event Video Shoots? Event video shoots are some of the most challenging as well as exciting shoots in the area of video shooting. Unlike controlled shoots where you have the luxury of controlling your shoots by either adjusting the light intensity a few times or may be using different microphones to better control the audio or may be switch to a different camera altogether for better visual effects, an event video shoot is not so controlled. Whether it is a tax seminar or a wedding, in case of any event videography, one needs to be prepared as there are no reworks. Most of you although might think of doing this yourself and find these tips useful. Even for those of you, who want to make the event photographed perfectly and in this regard hire a professional expert company, might find this article to be of great help as you could identify and learn a lot of facts about event photography. Although some of the things to remember in an event video production area are mostly common sense, even professionals tend to forget this at times. 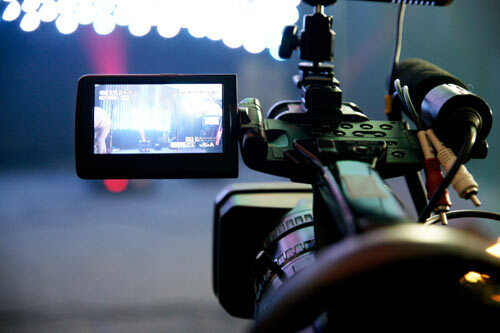 Here is a checklist of some of the most important things to keep in mind before the next event video shoot and also why a professional is most needed in such cases. Be it right from charging your cell phones and camera batteries to filling up the fuel tank of your car, a better planning can help save lot of time on the actual event day. In the most likely case where you hire a video production company, offering them a visit to the event spot may make things better and any information gathered about the event location as well as the type could help in making a better video. Who are the clients – setting expectations? A solid understanding of who the client is and his/her expectations is an absolute necessity – what needs to be shot, what is to be delivered and the timelines. It is important to know who the person of contact is on days of the event and if there could be a backup person to go to in case of unavailability. If there is scope for rehearsal, one should try to make best use of it. Often if not provided, a professional asks for a schedule of the event to better plan the day and timings as a general guideline of how to chalk out a better plan. A professional also ensures the right gadgets are available to him and also has a prior understanding of which moments to capture.